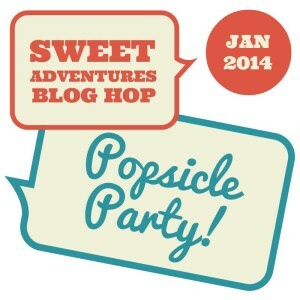 I was so happy to find that this month’s Sweet Adventures Blog Hop involved making icy cold popsicles (Thanks Swah!). Of course, you don’t have to bake or labour over a hot stove for these monthly hops but I definitely welcomed the chance to try a new iced lolly flavour to take a few degrees off of the hot Perth summer days we’ve been enjoying (or enduring, as the case may be…). In my previous post (Easy Gazpacho) I wrote about attending the launch of a summer promotion at Must Winebar in Mt Lawley. There, I was introduced to Sipsmith‘s Gin which reminded me how good this spirit can be. I think a lot of people screw their noses up at gin because their only experience with is often a subpar Gin & Tonic. Gin is a beautifully fragrant spirit and matches a lot of other ingredients nicely. Must Winebar’s new cocktails certainly demonstrated that! Inspired, I decided to try a refreshing gin based pop, starring pink grapefruit to add a subtle bitterness, à la classic G&T. I’m not sure if we needed the twist of lime in this pop but it never hurts does it? 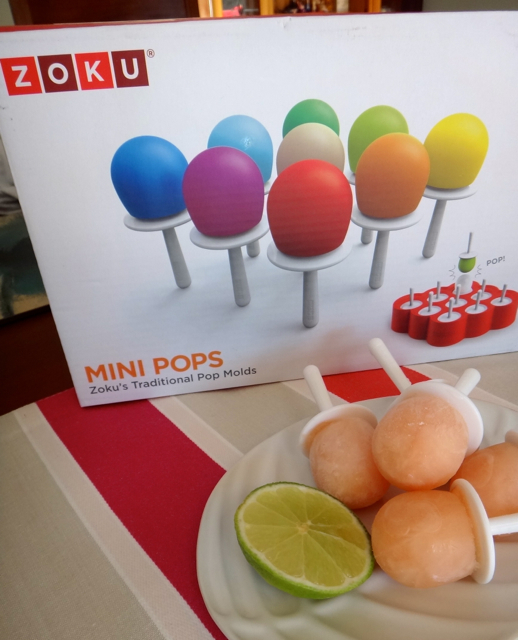 I also got to try out my Zoku mini pops mould which I must say is very cute. Perfect for even dropping one into a glass of sparkling mineral water for a lightly flavoured hot weather bevvie. To Make: Use citrus juicer to extract grapefruit juice. If you have a Thermomix, I recommend slicing the grapefruit as close to the flesh as you can, ensuring the pith is sliced away. Place grapefruit flesh in TMX and blitx on Speed 8 for 20 seconds. Pass the juice through a strainer to separate from pulp. Place water and sugar in a small saucepan and bring to a boil. Once sugar is dissolved, take off heat, add gin and allow to cool. 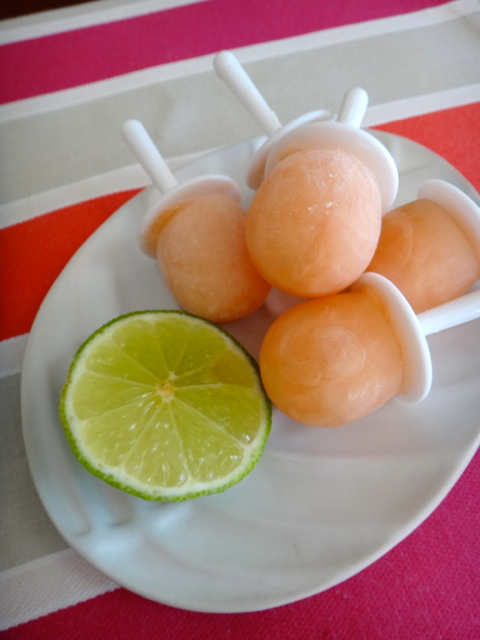 Once cooled, sugar syrup to grapefruit juice and add lime juice. Stir well to combine then pour into preferred popsicle moulds. Also nice as a slushy! Oh yeah great idea a truly adult pop. Good idea about dropping them into a drink too! How cute are those moulds! Love pink grapefruit! Oh yum these sound great! I was so late for the blog hop….Totally love your take on it, looks so tangy and refreshing.